Celebrate H.P. Lovecraft's Birthday with the Parted Veil Series--And Get a FREE Story! Today would have been the 125th birthday of Howard Phillips (H.P.) Lovecraft. Like many creators, Lovecraft's fame came mainly after his death, but today he is considered by many to be one of the two most influential horror writers of all time (Edgar Allan Poe being the other). Pretty much every modern horror writer, artist and filmmaker has been influenced in some way by Lovecraft, from Stephen King and Clive Barker to H.R. Giger and Guillermo Del Toro. If you have not familiarized yourself with the works of H.P. Lovecraft, it's never been easier to do so. 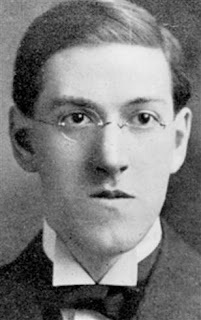 Thanks to public domain, you can find almost every single one of Lovecraft's works online. Open Culture has a great collection of his works, as does the H.P. Lovecraft Archive, which also features a comprehensive amount of information on his life and influence. While he is most well-known for his Cthulhu Mythos, I have always been a bigger fan of his Dream Cycle stories. In fact, it's the Dream Cycle--and the Dreamlands in particular--that books two and three of my Parted Veil series are centered around. 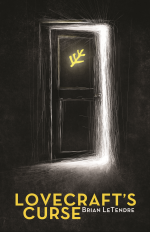 In Lovecraft's Curse, a young woman named Fela Barton discovers that she has a direct connection to H.P. Lovecraft, and to the Dreamlands themselves. That connection brings danger, madness and unspeakable evil along with it. 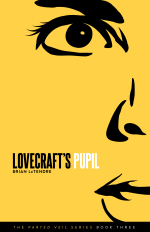 Lovecraft's Pupil continues Fela's story, as she learns more about her legacy and the scope of the danger she is facing. So, in celebration of Lovecraft's birthday, if you purchase any of the Parted Veil books from either Amazon (digital) or Drive Thru Fiction (print/digital), I will send you s short story for FREE. The short story--Private Showing--tells the origin of a character that appears in all three of the books. 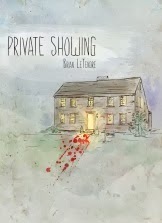 All you have to do is email me at brian@seebrianwrite.com with proof of purchase (your confirmation email), and I will send you a PDF of Private Showing. 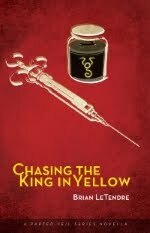 And for those wondering about the first book in the series--Courting the King in Yellow--you do not have to read it to understand or enjoy books two and three. 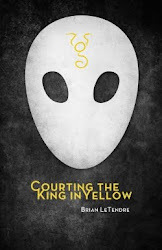 Courting the King in Yellow is very Robert Chambers-inspired, and while it connects to the overall series, it is a standalone story that is not directly continued in books two and three. If you're planning on following the whole series however--I'd check that out too. The free story offer will run until the end of the month. Enjoy! Check Out the First THRASH IT OUT Video Hangout! If you hadn't already heard, my friend and fellow writer Antony Johnston and I launched a heavy metal podcast called Thrash It Out a few weeks ago. The premise is simple--we listen to a metal album every week, and then we have an hour-plus long discussion about it. Sometimes we agree, sometimes we don't, but every album (and every track) is given its due--and then some. We discuss everything from the band's history, to the album production, to the times we've seen them live in concert. The first four episodes of the show featured the Big Four--Metallica, Slayer, Anthrax and Megadeth. In fact, our Megadeth episode just dropped today (you can listen to it right here). The response to the show has been great so far, and we've been having some great discussions with listeners over Twitter and on our Patreon page. In fact, the video above features Antony and I answering questions that were submitted by our Patreon supporters. We talk about our favorite genres of metal, some of the best albums of the past couple years, and the first concerts we ever attended, among other things. If you're digging the show and would like to support us on Pateron, just click here. You can also support us by leaving a review on iTunes if you like show, and that won't cost you a dime. We're over halfway through August now, and we've got another full week of edits on Harrowed under our belts. 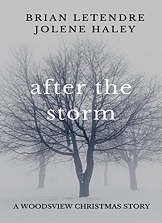 As I talked about in last week's post, I'm writing Harrowed with the amazing Jolene Haley, and it's my first collaboration. So, I wanted to chronicle bits and pieces of the creative process, because it's been an absolute blast. So, week one was all about making sure nothing in our story was broken. Once we finished that, we moved on to identifying what parts of the story needed tweaking. Jolene and I went through the book again, making comments and notes along the way, and coming up with a list of areas we thought needed some work. This past Sunday, Jolene and I had another epic two-hour Skype session, where we went over the majority of the notes we'd made and talked through how to address them. Some were small fixes that we made right then and there, and some were bookmarked for more work later. Big or small, we were on the same page for everything. And that's what's been so great about working on this project together--we share the same vision for these characters and their story. It's actually pretty amazing how in sync our interpretations of these characters are. things that aren't even on the page, but come up in the conversation when we discuss why these characters are doing what they do. If you haven't been following the #WoodsviewMurders hashtag on Twitter, then you may have missed the announcement of the Woodsview Case Files podcast. 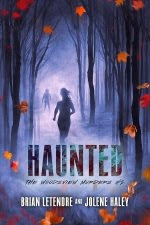 That's right--we're putting together a podcast to coincide with the release of Harrowed in September. You can follow @WoodsviewFiles for more info as we get closer to launch, as we've got some fun stuff planned for the show. One of the things we'll definitely be doing on the podcast is talking more about our creative process for this book and the series so far. If the two-hour Skype sessions are any indication, we'll have plenty to discuss come September. 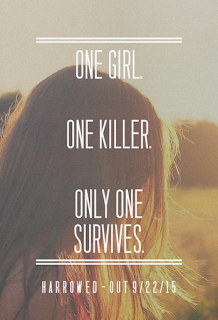 But for now--back to edits. It's FIRST & GOAL for Laura Chapman in September! Back in May, writer Laura Chapman joined me on the See Brian Write podcast to talk about her NaNoWriMo experience, as well as her books The Marrying Type and Hard Hats and Doormats. 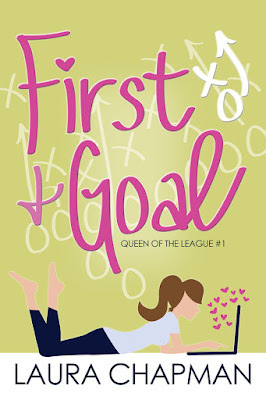 You can find out more over at Laura's website, and you can add First & Goal on Goodreads right now. You can also listen to the podcast episode in the player below! It's amazing how quickly something you love can be taken from you. 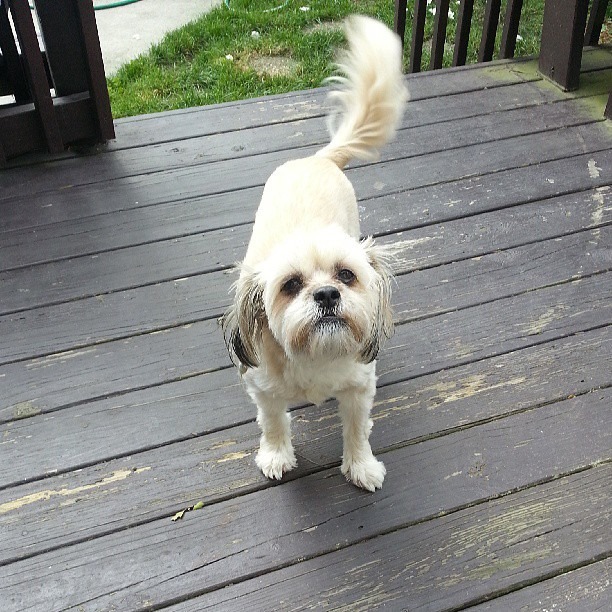 Our family dog Sunny was hit by a car and killed yesterday. I cannot begin to tell you the profound sense of loss that our entire family is struggling with right now. 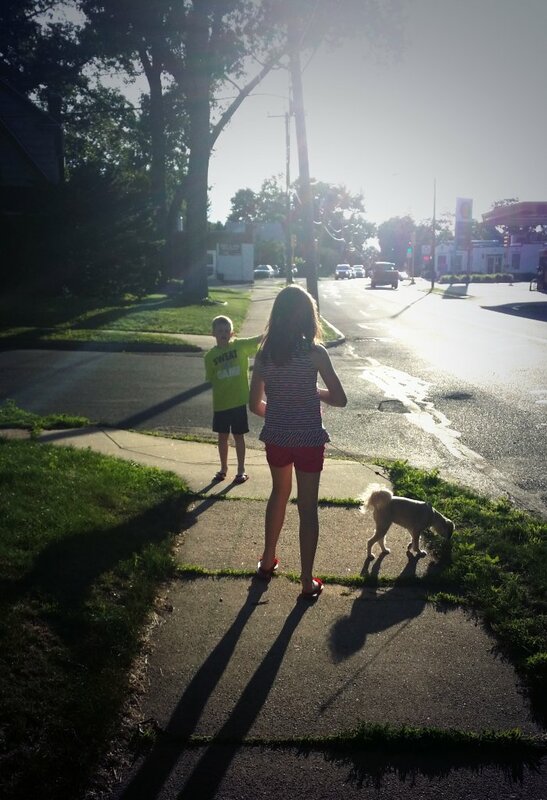 For seven years, my children have grown up with Sunny. From the day I brought her home, she has been a member of our family. When we asked our then 4-year old daughter what she wanted to name her new puppy, she answered "Sunshine Sparkles." Little did we know that Sunny was the perfect name for a dog that was a consistent source of joy for all of us. She did everything with our family. She was such a sweet and friendly dog that she was invited to every get together, vacation and event. She also meant something different to each one of us. She was my wife's hiking companion. She was my son's security blanket. And she was my daughter's best friend. For me, Sunny was my early morning writing buddy. 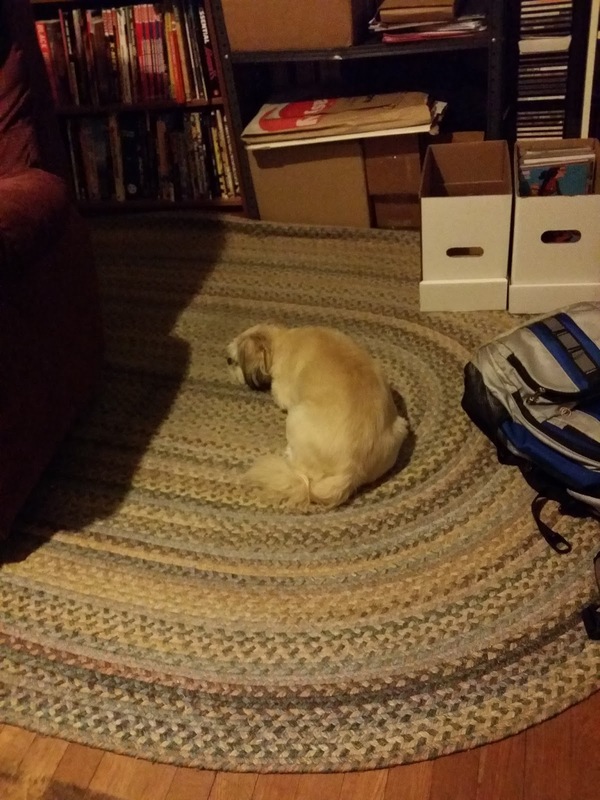 I am up at 5am every morning to write, and she was up with me, without fail. She would follow me around the kitchen as I made morning coffee, then plop down right next to my writing desk (or occasionally on my lap). It was our time and probably the thing I will miss the most about her. It's honestly hard to comprehend what life around here will be like without Sunny. But unlike those things in life that you take for granted, I know that our entire family was thankful for every single day we got to spend with sunny. The joy she brought into our lives will never be forgotten, and its those memories that will stick with us after the pain of this loss begins to fade. We miss you Sunny, and we will always love you. Thank you to everyone who has offered kind words and support to our family. All of it helps. 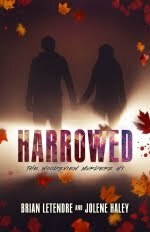 We are just over a week into Editpalooza, and both Jolene and I have put a huge amount of work in on Harrowed, the first book in our Woodsview Murders series. I wanted to blog a bit about the process we're using, since this is my first time collaborating with someone on a project like this. I am not exaggerating when I say that Jolene has been an absolute dream to work with, and I consider myself extremely lucky to be creating this series with her. I may have mentioned this before, but we live on opposite coasts, so we are rarely working on the book at the same time. We do set up specific times to work on the story together, but outside of those, we make heavy use of both the comments and chat features of Google Docs. This was fine for plotting and writing the first draft, but now that we've moved on to editing, we needed a more robust process. So, we started with a two-hour Skype call last week to discuss our approach to edits. After finishing the first draft, we each had a mental list of issues we thought needed to be resolved during edits. So, we spent a good chunk of our conversation going over those, and making decisions about how we wanted to handle them. We also agreed that we needed to talk each week, and that we would set a goal for each week in between our chats. 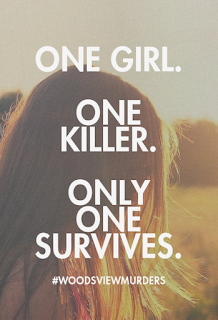 The goal for this week was to complete the first pass of edits. We would fix little things as we went along, but the main goal of the first pass was to make sure the story was not broken. Were there gaping plot holes? Did we leave major story points unresolved? That kind of stuff. Anything big was to be added to our list so we could discuss it during our next call. And I'm happy to report, the first pass went very well this week. There were issues that needed to be fixed for sure, but nothing major. Which means we'll be able to move onto the next phase of edits after our Skype chat today. Stay tuned! 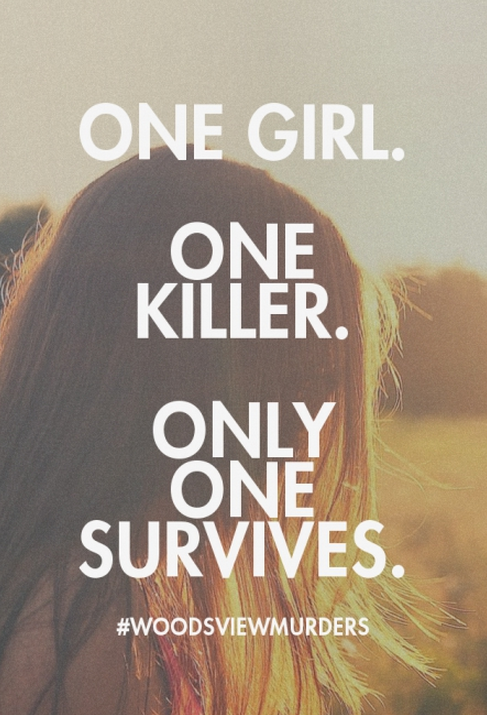 Oh, and in the meantime, you can add Harrowed on Goodreads!